Jeep Compass was recently officially launched in India for INR 14,95,000 (ex-showroom Delhi). The Post-GST cess hike price is INR 15.16 Lakh for the base model and INR 21.92 Lakh for the top model. 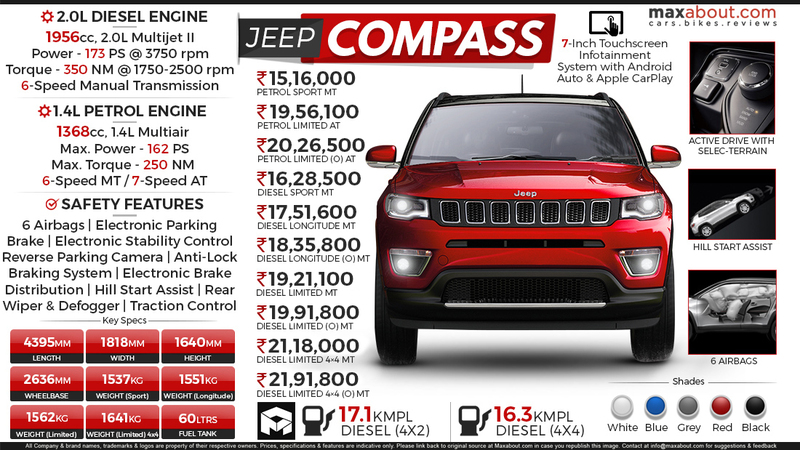 Compass can be safely called 'Jeep of the Masses' with its effective price tag, helping thousands of buyers fulfill their life long desire of owning something as legendary as Jeep brand. Know More about Jeep Compass.